Cutting through nutrition confusion and Connecting You to a Healthy, Vibrant, Fun Life! At Ways to Optimize - Nutrition for the Optimal You, we help people who are really hungry to make changes in their nutrition in order to reach their optimum selves. Our well researched programs cut through nutrition confusion and provide the support and connection you need to implement real change for a healthy, vibrant, fun life. Our approach is both clinical and functional to get to the core of the issue. We work to find personalized, real-world solutions because we know you are unique. We have an anti-diet philosophy and help you make incremental change to get to a lifestyle that you can sustain and the body and mind you are searching for. 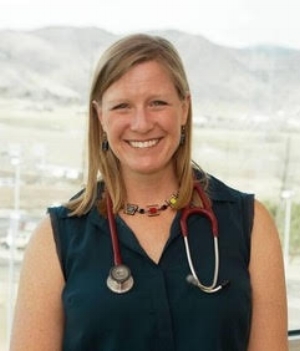 Dr. Abby Bleistein is a physician, board-certified in Internal Medicine, Pediatrics, and Obesity Medicine who's a Colorado native and a graduate of the University of Colorado Health Sciences Center. She practiced primary care for 14 years, treating patients of all ages to improve their health, and learned that she helped people most when she had more time to understand their unique challenges. That’s why she started her own practice, Healthful Life MD: to give more time to partner with her patients to formulate individual solutions that work for them, and to surround them with a team to support their long-term goals. What makes Healthful Life MD different? It starts with knowing how hard our patients work to make the changes they desire to see. We feel your pain and the heartache of not being able to do what you love. We understand the need to lose weight to improve your diabetes, cholesterol, or blood pressure. And we know you want to make real, sustainable changes in your lifestyle that improve how you feel, move, and see yourself.